The Truth that the Resurrection announces, in all actuality, is not any different from the Truth that Jesus was announcing throughout his entire life and teachings. The Resurrection is simply the Divine endorsement of that Truth over the “non-truth” embodied by the Powers that Be in their treatment of Jesus when they were threatened by the Truth Jesus proclaimed. Let me unpack and explain this idea. The “non-truth” embodied by this world (its systems of politics, economics and religion), in short, is that violence is either justifiable or, at least, it is inevitable, and to think otherwise is naïve. Greed, if controlled and monitored, is actually the wisest way to govern our resources. And lastly, sacrifice, based on a healthy fear of the divine, is the way to keep the gods happy. Jesus came saying He was the way, the Truth, and the life. Jesus came calling us to a new human community, a nonviolent community that shares with those who do not have, and practices mercy for another rather than “sacrifice.” This community has a strange absence of violence, greed, and “sacrifice” as well as an absence of the fears that drive all three. However, there is a rub. There also exists presently, in this world, Powers that Be whose place of privilege and ease depends on the existence of violence, greed, and sacrifice all rooted in fear. They perceive the coming of Jesus’ Kingdom, His new humanity, as a threat. Jesus’ gospel is not good news to them; it is a threatens to take from them all that they hold dear. Some say, “If it isn’t good news, then it’s not the gospel.” And while I understand what they are trying to say—and I agree with their intentioned meaning—what Jesus was bringing was gospel, but Pilate, Caiaphas, and Herod did not feel that Jesus’ announcement of a new world, free from those things upon which their place of privilege depended, was good news. How did they respond? They, all three, with the help of the mob, united to kill him. John 18.28—Then they took Jesus from Caiaphas to Pilate’s headquarters. It was early in the morning. Luke 23.12 —That same day Herod and Pilate became friends with each other; before this they had been enemies. Matthew 27.20—Now the chief priests and the elders excited the mob to ask for Barabbas and to have Jesus killed. Remember, within the Jesus story, Pilate stands for political systems that depend on violence for their success. Herod stands for economic systems where greed is the promised way of success. In addition, Caiaphas tops them all and stands as the figure head of an elaborate and intricate religious system of sacrificing innocents, driven by what is labeled as a “healthy” fear of God. Acts 3.13-15—The God of Abraham, the God of Isaac, and the God of Jacob, the God of our ancestors has glorified his servant Jesus, whom you handed over and rejected in the presence of Pilate, though he had decided to release him. But you rejected the Holy and Righteous One and asked to have a murderer given to you, and you killed the Author of life, whom God raised from the dead. To this we are witnesses. Acts 10.36-42—You know the message he sent to the people of Israel, preaching peace by Jesus Christ—he is Lord of all. That message spread throughout Judea, beginning in Galilee after the baptism that John announced: how God anointed Jesus of Nazareth with the Holy Spirit and with power; how he went about doing good and healing all who were oppressed by the devil, for God was with him. We are witnesses to all that he did both in Judea and in Jerusalem. They put him to death by hanging him on a tree; but God raised him on the third day and allowed him to appear, not to all the people but to us who were chosen by God as witnesses, and who ate and drank with him after he rose from the dead. He commanded us to preach to the people and to testify that he is the one ordained by God as He who reigns over the living and the dead. The cross, my dear friends, is not where justice, divine or human, was satisfied. The cross is the quintessential travesty of justice in human history, where God becomes the Victim of our political, economic, and religious systems that sacrifice others for their success. The Resurrection reveals that God is not present alongside those systems. The Resurrection proclaims that God stands with the innocent victims of those systems and is revealed through them. In short, the Resurrection proclaims that Jesus, rather than those systems, is the embodiment of Truth. The Resurrection endorses the Truth that, with Jesus, God’s Kingdom that was in Heaven has now come to earth. It has not entered and conquered this world by killing its enemies but rather by allowing itself to be killed by its enemies. This was done in an attempt to expose the dirty, rotten systems and “non-truths” they peddle and to call all to a new way of living life here on earth. The Resurrection endorses and proclaims that a new Kingdom has arrived: 1) this Kingdom is not dependent on violence for its existence (it would rather have its own blood shed than to stain its hands with the blood of another); 2) it is a Kingdom that shares generously the bread it receives today with the poor, the widow, and the alien, without fearing what may come tomorrow; 3) this Kingdom marks the end of Sacrificing others, even in the name of standing up for and defending what is good or “the right thing,” all the while believing we are working for righteousness, Truth, and saving our community. It is a Kingdom whose coming marks the beginning of a way of mercy (rather than sacrifice) and kindness toward those previously deemed by religious communities as living outside of the “Torah” and labeled by them as “sinners.” The Truths of this Kingdom are embodied in Jesus. This Truth springs eternal, and the Resurrection marks the beginning of a new world based on this Truth! The Resurrection unmasks the systems of the present age and announces that a new age has begun. Granted, we do not see all things in submission to this new age yet, as Paul would say. Nevertheless, the age has arrived and it is our privilege to enlarge that age, crowding out the old age like plants being subversively undone by the mustard seed’s growth in the garden, until the time when the Kingdom can be handed, unobstructed, back, once again, to “the Father” (I Corinthians 15.24). The Resurrection endorses the Truth—that Jesus embodied—over and against the “non-truths” being embodied by the systems of this world. The Resurrection victoriously announces that the Truth is the Truth we find in Jesus. And what is that Truth? The way of life is enemy love and forgiveness, not violence. The way of life is sharing with those who do not have enough of what they need to last them until sunset, while we trust that there will be more of what we need tomorrow. (Think of the Manna as well as the story of the loaves and fish. We follow Jesus who makes sure there will be baskets of loaves and fish left over if we seek first the Kingdom and share what little we have today, even if it is only a couple small loaves and fish. The Truth we encounter in Jesus is that greed cannot be baptized under the title of “good stewardship;” it must be abandoned (see Matthew 16.9). The way of life and to God is not in making sacred the sacrifices of those without which our religious communities would be least diminished, the condemnation of those from which unity around them as “enemy” can be most easily accomplished. It is not in excusing such sacrifices under the pretense that those sacrificed are not victims but “sinners,” not living according to our interpretation of the “Torah.” It is not found in motives rooted in the fear of divine repercussions if sacrifices are not performed. The Truth is that God does not, nor has He ever, desired sacrifice. He is not satisfied by sacrifice. What the God of Jesus desires is mercy. The ancient Hebrew hope was not of going to Heaven at death or escaping some Hellenistic, postmortem Hell. The ancient Hebrews looked forward to an age here on earth when injustice, oppression, and violence would all be set right by the Hebrew God. The Resurrection of Jesus proclaims that the age the Hebrews longingly looked forward to in hope—where all of injustice, oppression, and violence is set right—has begun! The HeartGroup application this week is very simple. 1) In the wake of the Resurrection, spend some time this week sitting with Jesus each day—with pen and paper in hand—and ask the living Jesus to show you where in your life you have yet to recognize your own victimization to violence, greed, and sacrifice rooted in fear rather than mercy. As a victim, you may stand in the place of the oppressor OR the oppressed. Ask Jesus to grant you forgiveness for others in whatever way you stand in the position of being oppressed. In addition, ask Jesus to open your eyes to recognize the way in which you stand in the position of the oppressor. Ask Jesus to give you the humility to seek their forgiveness as well as the courage to embark on a new way of life, a way that the Resurrection points to as the Truth, the way, and the life. 3) Share whatever Jesus does in you through this experience with your HeartGroup this upcoming week. Now go run in the expanse of the light streaming from the empty tomb. Last week, we mentioned the three sacrificial systems of this world that united to murder God within the Jesus story. Those three we listed were political systems reliant on violence, represented by Pilate; religious systems based on fear, represented by Caiaphas; and economic systems driven by greed, represented by Herod. What we find in few discourses we do have on the early church is a strange lack of emphasis on or theology surrounding the crucifixion, and a much greater emphasis on the world-changing implications of the Resurrection as God’s overthrowing and victory over the injustice of the cross. Yes, the cross is the means whereby we also follow Jesus in restoring his Kingdom here on earth, but it’s all because there was a Resurrection. Without the resurrection, Jesus’ death simply becomes yet another nonviolent direct action in a long list of others within history. Yet the story of Jesus’ rejection of these three sacrificial systems only climaxed in the uniting of the threatened Powers That Be (Caiaphas, Pilate, and Herod) in the crucifixion. The story of Jesus’ rejection of these three systems is not simply where the Jesus story ends; Jesus’ rejection of these three is exactly where Jesus’ Kingdom revolution, according to the story, also begins. This week, I want to share some brief comments on Jesus’ temptations in the wilderness and their relevance this season as many are focusing on the resurrection. Remember, Jesus had come to establish His Kingdom here on earth. There are three ways “kingdoms” are established in this world: an economy driven by greed, a religion based on fear, or a political system reliant on violence. A “super power” is a kingdom of this world that has successfully mastered and united all three. In the wilderness temptations, we see Jesus, in the very beginning of his Kingdom revolution, tempted to use but decisively rejecting all three. As we have covered elsewhere (The Hallmark at https://renewedheartministries.com/AudioPresentationSeries.aspx?series=36), the economic systems at the top of the pyramid structures of our societies today are rooted in the narrative of believing there is a scarcity of those things that will fill our needs. This scarcity produces undercurrents of anxiety. The desire for security or assurance that our needs will be met drives us into a lifestyle centered on accumulation the things we need. Remember, greed is defined as hording out of fear for tomorrow, while those around us are not having even their basic needs being met today. For those who are most driven by this anxiety, without fail, ultimately a monopoly is created in which the greatest amount of control over that which supplies one’s (or a group’s) needs is made and protected at all costs. Though it comes in many forms, this is the essence of greed-driven economies. Yet this security always comes with victims upon whom we shoulder the cost of our ability to get a better night’s sleep. Jesus saw what the temptation really was. He refused to use the narrative of scarcity and chose instead the narrative of the manna, where needs will be supplied not by accumulation and ultimately monopolies, but daily by God. There will be more manna tomorrow. Jesus rejected a narrative of scarcity, anxiety, accumulation, and monopoly for a narrative of trust, gratitude, sharing, and generosity toward even one’s enemies. Kingdoms of this world are established politically by first bowing down to the Satan, the accuser (Hasatan). Nothing unifies a group so quickly and effectively as pointing to a common enemy, accusing them as being the ones we should fear and hate. Jesus could have secured the top position at the pyramid, according to the Tempter, using this means—it was guaranteed, actually. But Jesus came to establish a Kingdom not centered on hatred for a common enemy, but centered on love for one’s enemies. (This, for Napoleon, radically set Jesus apart from all others.) Again, this also creates a lot of security, but just as with economics driven by greed, it comes at the cost of victims. Somebody somewhere has to be the victim, the enemy, the scapegoat, that pays the price for our unity. Lastly, it would be wise to notice that the Tempter used the Bible in each of his enticements. The Bible can be used—most eloquently, actually—to justify using violence for political gains. (Augustine used the story of Joshua.) The Bible can be used to justify greed disguised under the label of “wise stewardship.” How often have I myself witnessed the Bible being twisted to condemn any attempt at ending world hunger, which institutional Christianity today has the power to do if every institution that bore the name of Jesus would simply obey the command given go the rich young ruler! If institutional Christianity would simply liquidate all assets and give the proceeds to the hungry, Christianity could go down in history for actually ending world hunger for good, looking like Jesus, rather than the awful history it’s most known for among its non-adherents—the Crusades. Even Jesus’ statement to the disciples that the poor we would always have with us today is being used to justify something so opposite to Jesus’ entire life and teachings as ignoring the hungry. And yes, a lot does not need to be said to mention that the Bible can also be used to inspire fear as the foundation of a religious system that places that system in the role of savior from divine repercussions, itself providing the only means through which assurance can be attained—yet whichever pyramid structure is created this way, even if it uses the Bible economically, politically, or religiously, this is anti-Jesus, anti-Kingdom, anti-Christ. Jesus had come to establish his Kingdom here on earth “as it is in heaven.” The kingdom economically is based neither on greed nor even fairness, but on need (see Matthew 20.12). Jesus’ economics are driven by need, not greed (see Matthew 5.45). Jesus’ politics are found in the Sermon on the Mount as well (see Matthew 5.3-11). They are not dependent on violence (Matthew 5.38-39), nor can they even be accomplished by violence. Jesus’ politics are established in having one’s own blood shed rather than shedding the blood of another. And lastly, Jesus came not to start a religion at which He sat at the top; Jesus came to start a revolution where the greatest is servant of all. Nowhere does Jesus asks us to assent to certain intellectual propositions or to outwardly conform to a list of rules that would assure us of postmortem realities; rather, He taught us to keep our focus on how we live today, here, now. Jesus didn’t give humanity a sure way to get to heaven, but a risky way to heal the world. Jesus gave us a way to bring heaven here, reuniting heaven with earth once again. Jesus did not teach the “meek will go to heaven,” but that the meek will inherit the earth—a renewed earth, where heaven and earth are once again one (see Matthew 5.5; Revelation 5.10; 21.3). Contrary to popular belief, Jesus doesn’t give us the most guaranteed way of appeasing the gods. Jesus offers us the path to a whole new world—a path rooted in new way of treating our fellow travelers on this journey rooted in seeing them, ourselves, and even God radically differently. Jesus didn’t come to simply obtain the top position of the power pyramid structures of this world, but to turn them all on their head (see Luke 6.20, 24) and establish in their places something radically different. Jesus came to heal the world (John 3.17, Acts 17.6). As I shared last week, if we would simply be open to learning how to recognize and then say “no” (as we see Jesus doing in the wilderness) to the systemic evils of greed, violence, and fear—all of which lift us up while pushing others downward—that alone would change everything. This week, for your time of contemplation with Jesus, I want you to use the story of Jesus’ temptations in the wilderness. 1. Sit with Jesus quietly with each passage. Ask Him to show it to you from different angles. Be patient. Listen. When you ask for a fish, He won’t give you a serpent. Take the time to also read each version of the event (Matthew 4; Luke 4; Mark 1). Hold in tension the victory of the Resurrection. Jesus chose to establish His Kingdom not through the means offered Him by the Tempter, but by the way of shameful cross and empty tomb. 2. Make sure you journal any insights Jesus shares with you during your time with Him. 3. Share whatever insight and life applications Jesus gives you this week with your HeartGroup. Till the only world that remains is a world where love, once again, reigns, let’s follow the Master this week in saying “no” to the ways of violence, fear, and greed. Keep living in love. Keep enlarging the Kingdom. Remember, you walk in the light streaming from the empty tomb. I love you guys! See you next week. This week, with the Easter season upon us, I want to share with you some thoughts regarding the Jesus story (the story of the Resurrected One) that truly are revolutionary. Also, I want to begin this week by giving a shout out to my new friend, Jarrod McKenna from Australia. Jarrod and I spent a little time dialoguing a couple weeks ago. Honestly, Jarrod challenged me on something I had said, and that challenge, along with some resources Jarrod recommended to me, got me thinking. So I went back to Mathew, Mark, Luke, and John to see what I had missed, and sure enough, it was all right there. I want to thank Jarrod for pushing me. This has opened up yet another incredibly beautiful dimension to the events of the Jesus story that was there all along, but being culturally conditioned to a more domesticated and conventional reading of the Jesus story, I had missed it. I think, if I’m honest, we are all on a journey: we’re in the process of allowing the Jesus story to truly challenge the housebroken, Constantinian version of Jesus that has been given to us, the church, and the world at large. If you want to squeeze the most out of this week’s eSight, I would encourage you to go back and look at Jesus’ Temple Termination in each of the gospels. (I’ll be calling it Termination rather than Cleansing. I’m coming to believe that “Cleansing,” is a misnomer. What Jesus was doing there was not “cleansing” the Temple so that the system could continue in a purer state. Instead, Jesus was bringing the entire system and the way of life that it represented to an end.) You don’t have to go back and read each Gospel’s telling, but I think you will get so much more out of this week if you do. (That’s how it happened for me.) You can find it in Mark 11, Matthew 21, and Luke 19. You can leave out John’s version because it happens at the beginning of his gospel and focuses strictly on the “temple of his body” (as John’s gospel was written primarily to confront the beginnings of Gnosticism in the early church). What you’ll notice, if you do go back and read each version, is that (and these are oversimplified for the sake of space) Matthew and Mark orchestrate the events of their retelling in the order of 1) Jesus’ Humble, Nonviolent Entry into Jerusalem (mimicking Caesar’s custom of entering a conquered province on a war steed. See Zechariah 9.10 cf. 9.9. ), 2) The Cursing of the Fig Tree, and 3) The Termination of the Temple and Its Rituals. 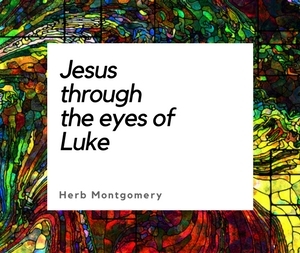 Luke’s retelling presents 1) Jesus’ Humble, Nonviolent Entry into Jerusalem, 2) (Luke omits the Fig Tree and replaces it instead with) Jesus’ Words Over Jerusalem, and 3) Jesus’ Termination of the Temple and Its Rituals. If you take both versions, you begin to see that there is a dual purpose to what Jesus was doing in the Temple. Very briefly, the first purpose is that Jesus, in his overturning tables and making it impossible for the Temple services to continue that day, was standing in His prophetic lineage from Jeremiah. He was prophesying what would be done to them just forty years later at the hands of Rome (see Josephus, War of the Jews) if they continued to fail to recognize this nonviolent coming of God to them, rejecting Jesus as an enemy-embracing Messiah, and holding out for a more militaristic Messiah to lead them against the Romans like Judah Maccabees led the Hebrew people against the Seleucids. Jeremiah had warned of the shattering of Jerusalem by Babylon in a similar illustrative fashion with the shattering of the clay pot at the garbage dump in the valley of Ben-Hinnom. (See Jeremiah 19.1-15). But this is not ALL Jesus was doing. The Temple, in both Jeremiah’s and Jesus’ day, stood for systems of oppression where those who were innocent were sacrificed for the benefit of those in power. The Presence had long departed this system that demanded the sacrifice of innocents, although they still pretended it was there. The cursing of the fig tree connected to the termination of the Temple by Jesus (in Matthew and Mark) is more than the end of Jerusalem as God’s elect, more than the end of animal sacrifice in religious worship. Matthew and Mark are whispering to us about the end of a way of life here on earth where aliens, orphans, widows, and innocent victims are sacrificed—which the Temple in Jesus’ day (as well as Jeremiah’s) not only promoted, but more than that, it stood at the very heart of Jerusalem’s religion and worship. (When we add the Divine to any system of oppression, the abuse becomes decisively compounded.) Jesus had come to bring an end to that way of life here on earth and to initiate the commencement of an entirely new and radically different way of life. The rest of the story flows from cause to effect. Jesus’ Termination of the Temple leads ultimately to the arrest of Jesus by the Temple Police. Jesus was subjected to multiple trials from each of the Powers that were positioned to benefit by that way of life, which Jesus’ coming threatened to take away. The three sacrificial systems, which we will cover in a moment, united to crucify Jesus in the supreme act of deicidal injustice. God then overturned and conquered each of these sacrificial systems by Resurrecting Jesus, glorifying Him as the Christ. The Resurrection (as pointed out by those such as N.T. Wright) marks the end of all Sacrificial Systems that demand the death of innocent victims for the benefit of the masses, of which the Temple in Jesus’ day was simply a type. It matters not whether the Sacrificial System is Political, represented by Pilate, dependent on violence against political enemies as well as dependent on (what those such as Hauerwas, Yoder, and others call) a “religion of war” in which the present generation is sacrificed, like lambs to the slaughter, to sustain the belief that citizens are worthy of the sacrifices of past wars. It matters not whether the Sacrificial System is Religious, represented by Caiaphas, based on and rooted in fear where (as pointed out by those like Wink, Gerard, and others) Divine repercussions against its adherents are threatened if those deemed as “sinners” are not shunned, marginalized, scapegoated, and ultimately sacrificed (think World Vision) in an effort to maintain the favor of God or the gods. Nor does it matter if the Sacrificial System is Economic, represented by Herod, driven by greed, which (according to Brueggemann, and others) sacrifices the poor (see Luke 6.20, 24) at the bottom of society’s pyramid structures to maintain the lifestyle of the few positioned at top. (think Fair Trade). The story of the Resurrected One shows that the Presence of God is not found within the most exclusive “holy places” belonging to those “dirty rotten systems” as Dorothy Day call them (see Matthew 27.51; Mark 15.38; Luke 23.45). The true dwelling place of the Presence, according to the Jesus story, is found in the One shamefully suspended on a cursed tree at the orders of those united threatened Powers-that-be, whether political, religious, or economic. The story of the Resurrected One proclaims the beginning of a whole new world in which we need not fear the consequences of our nonviolent engagement—rooted in love and enemy-forgiveness—against those Systems and Powers. We stand in the Victory of Christ over each of these Sacrificial Systems—a Victory that has already been won. We are people standing in the light streaming from the empty tomb, following the Resurrected One. The stories of the termination of the Temple, execution by crucifixion, and victory through resurrection, when seen in context, are where the synergy of multiple new ways of seeing God, themselves, and others in this world converged to produce an overall worldview paradigm-shift among Jesus’ followers. This was too significant, too exposing for the political (dependent on violence), religious (rooted in and based on fear), and economical (driven by greed) systems of the first century to tolerate (see John 3.20). They story of the Resurrected One offers the same for us today. The Resurrection invites each of us to align our own stories with the story of Jesus and to embrace our crosses to put on display the reign of Jesus where His Kingdom is established once again, on earth as it is in Heaven (see Matthew 6.10). We are not (as I have been accused of) arranging deck chairs on the Titanic. Jesus wasn’t arranging deck chairs on the Titanic, offering Jerusalem the chance to be the center of a whole new way of life even though the events of A.D.70 loomed in the distance if they did not cooperate. And when we follow Jesus in our world today, we are not doing that either. God did not send His Son into the world to condemn the world, but that the world through Him might be healed. If we would simply be open to learning how to recognize and then say “no” to the systemic evils of violence, fear, and greed, that alone would change everything. 1. Write down what new ways of seeing things Jesus shares with you during your time meditating on these words, with Him, this week. 2. Share any new paradigm shifts Jesus gives you with your HeartGroup when you meet together this upcoming week. These are the thoughts, the hope, and the calling that this year the contemplating of the Resurrection brings home to me. Now let’s go enlarge the Kingdom. I love you guys. I’ll see you next week.